GMO stands for Genetically Modified Organism. Other names for the process include Genetic Engineering (GE) or Genetic Modification (GM), which are one and the same. How is a GMO Different from Hybridization / Cross-Breeding? Genetic modification is the process of forcing genes from one species into another entirely unrelated species. Unlike cross breeding or hybridization—both of which involve two related species and have been done without ill effects for centuries—genetic engineering forcefully breaches the naturally-occuring barriers between species. Example: Corn + DNA from soil bacteria that is naturally immune to RoundUp herbicide + e.coli bacteria + soil bacteria that causes tumors in plants (which enables the plant’s cell wall to be breached) = RoundUp Ready Corn (one of several RoundUp Ready crops engineered by Monsanto). Other examples of GMOs include strawberries and tomatoes injected with fish genes to protect the fruit from freezing, goats injected with spider genes to produce milk with proteins stronger than kevlar for use in industrial products, salmon that are genetically engineered with a growth hormone that allow them to keep growing larger, dairy cows injected with the genetically engineered hormone rBGH (also known as rBST) to increase milk production, and rice injected with human genes to produce pharmaceuticals. How are Crops Genetically Modified? E.coli bacteria is combined with a soil bacteria that causes tumors that allows the foreign bacteria to breach the host plant’s cells. A “gene gun” blasts the engineered DNA directly into the plant’s cells. For a more visual explanation, watch this video (the process graphics begin at the 2.20 minute mark). Because the injected genes can come from bacteria, viruses, insects, animals or even humans, GMOs are also known as “transgenic” organisms. Because genes operate in a complex network in ways that are still not fully understood (as discovered during the Human Genome Research Project), genetic engineering can result in both known and unknown / unintended consequences. What is the Intended Outcome of Genetic Modification? However after nearly two decades of development, none of these traits have come to market. View a list of the top ten genetically modified crops and see which genetically engineered traits are most predominant. To remain alive when repeatedly sprayed with weedkillers that are manufactured by these same corporations, including glyphosate (aka RoundUp), glufosinate, and 2-4,D (one of the primary ingredients of Agent Orange). Some crops are genetically engineered with both herbicide-resistant traits; soy was recently genetically engineered to withstand all three. So what’s the real motive? Profit. Genetically modified seeds can be patented as intellectual property, which enables GMOs to be owned, sold, controlled, and legally protected by a corporation, giving these corporations ultimate power over food. No surprise these corporations have focused on genetically modifying corn and soy, since these two products are used in almost 90% of processed food for humans, and in 100% of the grain fed to (non-organic) animals raised for meat. by the world’s largest pesticide manufacturer? The #1 company developing GMO plants and controlling the largest market share of GMO crops in the world is the same company selling the weedkiller called RoundUp: Monsanto. GMOs are the latest innovation in Monsanto’s long line-up of questionable products, including Agent Orange, PCBs, DDT, Dioxin, Aspartame, Saccharain, rBGH / rBST, and Terminator Seeds that grow for only one season, forcing farmers to buy their genetically modified seeds each year instead of saving seeds from the prior harvest as they have done for centuries. No wonder Monsanto re-branded themselves from a “chemical” company to a “bio-agricultural” company back in 1997 (with the new tag line “imagine”)– GMOs, and the weedkillers they are engineered to withstand, are an extraordinarily profitable loop! Other companies in the “Big Six” include Pioneer Hi-Bred International (a subsidiary of DuPont), Syngenta AG, Dow Agrosciences (a subsidiary of Dow Chemical, BASF (which is primarily a chemical company that is rapidly expanding their biotechnology division, and Bayer Cropscience (a subsidiary of Bayer). Although the list is changing all the time, GMOs are currently labeled, extremely restricted, or banned in 64 countries, including the entire European Union (United Kingdom, Norway, Luxembourg, Austria, Germany, France, Hungary, Italy, Spain, Portugal, Greece, and Ireland). They are also banned in Australia (but that’s shifting now due to pressure from NuFarm/Monsanto, and the Aussies are not happy) and New Zealand. 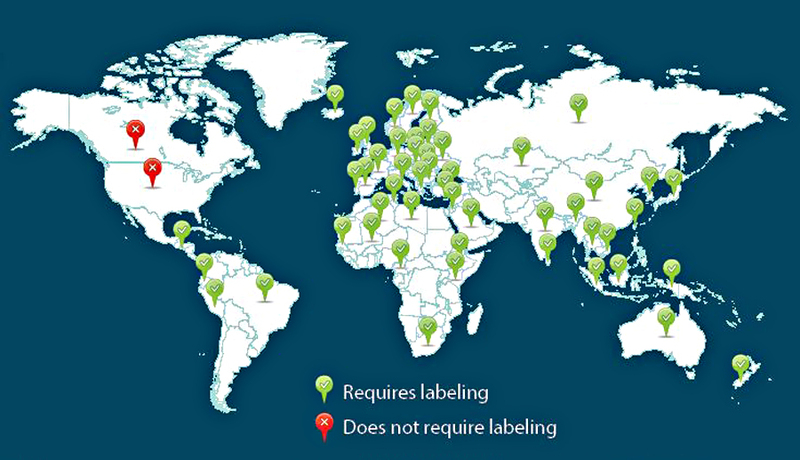 Elsewhere in the world, GMOs are similarly restricted or banned in Saudi Arabia, Syria, Algeria, Poland, Brazil, Paraguay, Peru, China, Japan, Thailand, the Philippines, Fiji, Sri Lanka, American Samoa, Cook Islands, Kiribati, Federated States of Micronesia, Marshall Islands, Nauru, Papua New Guinea, Samoa, Solomon Islands, Tonga, Tuvalu and Vanuatu. In Canada the debate is still underway: as far back as 1998, scientists employed by Health Canada who were concerned about human health impacts complained that they were being pressured to approve the GMO milk hormone, which is injected into cows to increase milk supply. They testified that the drug maker, Monsanto, offered them a bribe of over $1 million to approve it. They also reported that their research study documents were stolen from a locked file cabinet in a government office. Here in the United States (where several of our largest corporations have a vested financial interest in GMOs), the proliferation of misinformation has resulted in very little progress: Maryland has banned genetically engineered fish; North Dakota and Montana filed bans on genetically engineered wheat; Burlington, Vermont declared a moratorium on genetically engineered food; Boulder, Colorado banned genetically engineered crops; and GM crops have been banned in the California counties of Mendocino, Trinity and Marin, the big island of Hawaii, and the San Juan county of Washington state. 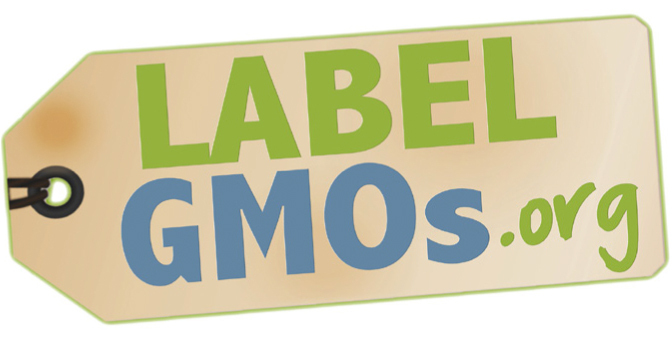 As of 2013, after the FDA denied more than 1 million signatures in a national petition to label GMOs, more than two dozen states began working on state-wide labeling measures, including Maine, Connecticut and Vermont. But state efforts have not come without a price: Monsanto sued Vermont and Connecticut’s GMO labeling measures into silence for over a year, and with donations from multiple large U.S. food manufacturers who rely on genetically engineered corn and soy, nearly $70 million was spent to confuse voters in California and Washington state into (narrowly) defeating GMO labeling propositions. Even if some states are successful down the road, there’s no guarantee that their efforts will be upheld: the U.S. Senate recently decided that it does not want to give states the authority to tell people if they are eating genetically modified food—with a vote of 71 against 27. While this list may look short, the byproducts of these crops result in a far longer shopping list. GMOs are used in thousands of processed foods, ranging from infant formula to bread, tofu, and tomato sauce. Meanwhile GM feed is widely fed to animals that produce milk, eggs and meat, which means GMOs are also getting into products like ice cream, mayonnaise, cheese, and veggie burgers (whey protein!). Even non-food items such as cosmetics, soaps, detergents, shampoo and bubble bath often contain GMO ingredients. According to a 2005 estimate by the Grocery Manufacturers of America, 75% of all processed foods in the U.S. contain at least one genetically modified ingredient. The most common argument in favor of GMOs is that “humans have been genetically engineering species for hundreds of years,” resulting in larger corn plants, dog breeds that serve unique purposes, seedless grapes, and the like. But this too is another misleading statement. What humans have been “doing for centuries” is called hybridization. Hybridization is NOT genetic engineering. 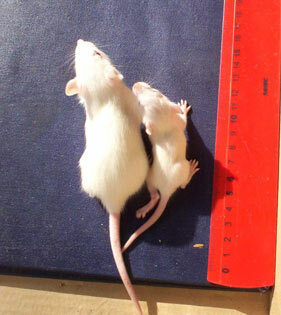 Genetic engineering involves the combination of two entirely unrelated species in a lab—species that could never cross or coexist in nature and thus require complex techniques to forcefully combine the genes. The second most common argument in favor of GMOs is the biotech industry’s claims that the FDA has “thoroughly evaluated” GM foods and found them safe. This too is untrue. For nearly two decades, NO studies have been performed on the human safety of GMO products — in fact the first research is only now emerging, and almost all of it is appearing only in countries outside of the U.S.
To date, no American scientist has investigated the levels of toxic residues in GMO foods. There have been no studies to determine how much of the herbicides and pesticides that are genetically engineered into the crops remain inside the plant, once it reaches our dinner plate. There have likewise been no studies to determine how much toxic residue is left over on crops which are heavily saturated with additional pesticides and herbicides during their growth, because they were genetically engineered to withstand it (kills all the weeds around them, while they remain alive). No long-term testing has been performed to assess the impacts of any of these toxic substances — neither on human health nor on the environment. What then, has been studied? To date, any studies done that relate to GMOs have been performed on animals, with consistent, documented effects of GMO toxicity, including immune dysregulation (asthma, allergy, and inflammation); accelerated aging; infertility; dysregulation of genes associated with cholesterol synthesis, insulin regulation, cell signaling, and protein formation; as well as altered structure and function in the liver, kidney, pancreas, spleen and gastrointestinal system, still birth, birth defects, and early death. Details on a few of these animal studies can be found here. Meanwhile, related studies on Glyphosate (the key ingredient in Monsanto’s RoundUp; for which the majority of GMO crops have been engineered to withstand) have uncovered a whole host of toxic effects in humans, plants and soil. View one of the man study reports here; watch an easy-to-understand (and very informative) interview video with the scientist by clicking here. Why is there a lack of thorough evaluation? Scientists who study genetically engineered crops are scorned if their research doesn’t promote GMOs in a positive light. The leading scientific journal Science Direct published a study in 2011 showing significant conflict of interest in so-called “research” done on the health risks and nutritional assessment of genetically modified products. In 2014, a comprehensive peer review of the Ag-Biotech industry’s so called ‘long term safety studies’ found them to be significantly inaccurate or flawed and no proof of safety. Key corporations responsible for genetic engineering are doing everything in their power to prevent unbiased research, while distributing mass media “greenwashing” (or providing donor support to public media sources such as NPR) to confuse Americans until they’re too frustrated to care what’s really going on. Which means GMO foods are not required to undergo specific safety tests prior to entering the market. 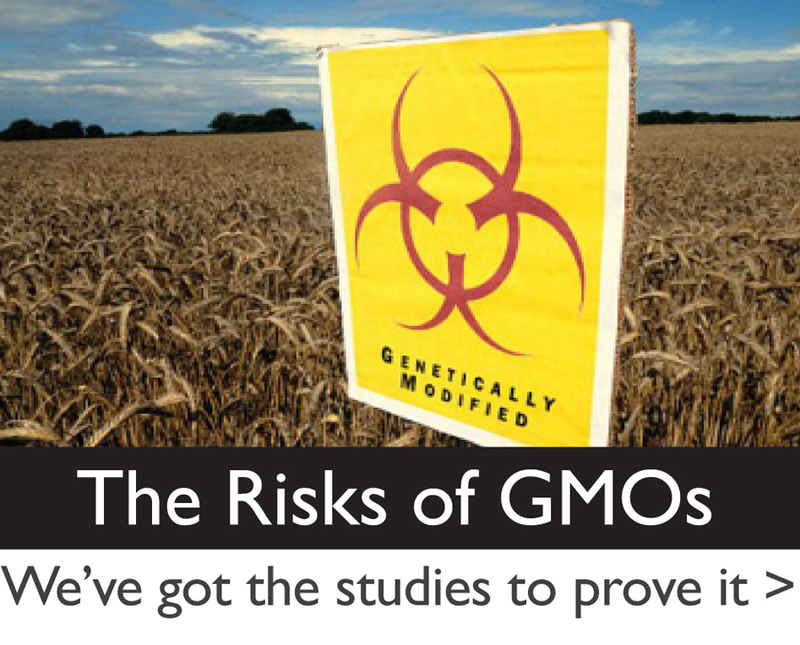 If the makers of the GM foods claim that they are safe, the FDA has no further questions. In fact the FDA recently granted Monsanto the ability to conduct their own environmental impact studies. The 2012/2013 Farm Bill currently contains a rider that if passed as is, grants Monsanto complete immunity from FDA control over where and how they plant future GMO test crops. What is the Current Status of GMOs? 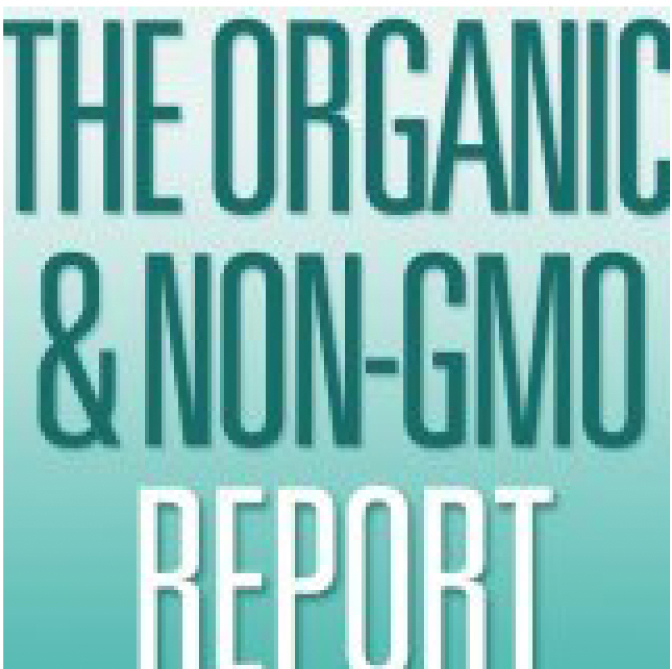 • GMOs are now present in the majority of processed foods consumed in the U.S. (unless they’re organic). • US cancer rates are the 7th highest in the world, having skyrocketed during the same timeframe GMOs were introduced into our food. • “Superweeds” and pesticide-resistant insects are evolving out of control. • 2-4,D (one of the two primary ingredients in Agent Orange) has been approved to kill superweeds, and soy has been genetically engineered to withstand it. • Natural crops are being infected through cross-pollination; some are developing a form of auto-immune dysfunction that causes plants to die before harvest. • Fish, wildlife and insects are being born with defects, infertility, or dying prematurely, either from direct exposure or consuming exposed prey. • Bees, which we rely upon to pollinate our crops, are dying at unprecedented rates… whether due to the increase in herbicides that came about during the rapid adoption of herbicide-resistant GMO crops, or colony collapse disorder, or a relationship between the two… no definitive cause has been determined. • Monarch butterflies are likewise dying at unprecedented rates as a direct result of the herbicides used in conjunction with GMO crops. • There’s been a massive increase in pesticide use from the time genetically engineered crops were introduced in 1996 through 2011. Click here to read the original study. • As pesticides gradually kill soil microorganisms, crops become reliant on fossil fuel fertilizers. • Millions of acres of soil and the natural aquifers underneath the soil are being saturated with toxins, due to the ever-increasing use of herbicides and pesticides to counteract resistant weeds and insects. • Coincidentally during the same two decades, our national health costs have tripled, while our overall national health has sunk lower than almost all the civilized countries in the world. How do the Ag-Bio Corporations Respond to These Problems? • By creating “self-terminating” seeds, stronger herbicides, and deadlier pesticides. • By continuing to tell the world they are improving crop yield and nutrition to “Feed the World,” even though they continue to focus more than 90% of their efforts on herbicide and pesticide resistance. • By forcing organic companies to create 100 foot “no-farming” buffer zones around their fields, to prevent the GMO plants, seeds and pollens from invading. • By suing the farmers when cross-pollination does occur, accusing them of patent infringement and non-payment of licensing, royalty, and seed fees. • By suing any state that tries to pass GMO labeling requirements. • By blocking attempts at scientific research when it doesn’t present GMOs favorably. • By creating organizations to mislead farmers and consumers. • By lobbying the federal government to protect GM crops and prevent GM product labeling… to the tune of $1.4 million in just the first 3 months of 2011. • By focusing their current marketing efforts on third world countries with the promise of feeding their hungry. • By labeling any public outcry — whether scientist or consumer — as misinformed, progress-phobic, anti-science propaganda. If you’re like us, you’re feeling pretty overwhelmed at this point. The more you read, the more you’re wondering how something like this could have gotten so far without your knowledge. Who is conducting the research and what is their relationship with the biotech industry? Who is funding the research? Who is their parent funder? And theirs? And theirs? Who monetarily benefits from the results of the research? Last but not least, when you read information from the FDA and USDA, take the time to investigate the names behind the statements, and do a quick Wikipedia search on those individuals. 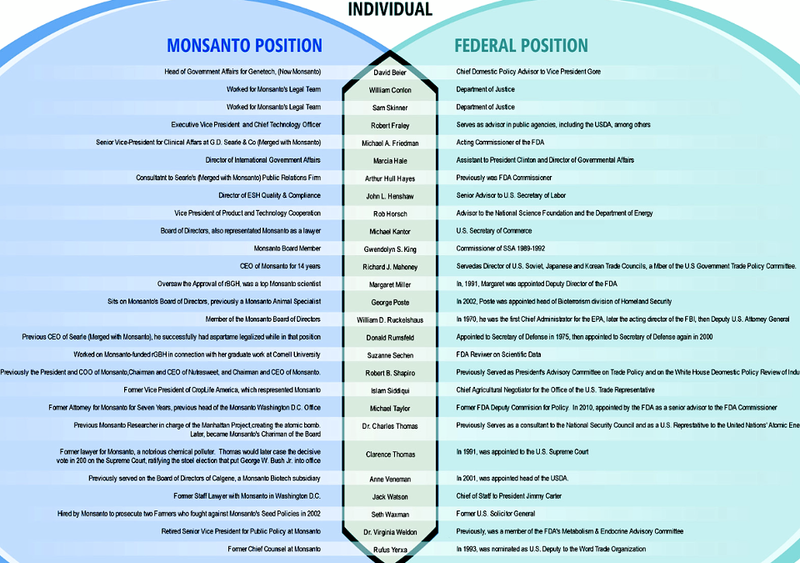 You may (or may not) be surprised to learn how many of the people currently employed by the FDA were formerly employed by key corporations responsible for genetic engineering before they were “assigned” to work for the FDA. Since this technology is comparatively new, and there is still no data on the long term effects of human consumption of GMOs, are you comfortable being part of an experiment? Sadly, most US consumers have no idea about any of this. It’s time to wake up and decide if the impact of GMO foods — on you, your family, and the environment — is a risk you’re willing to take. To view (or download if you wish) a PDF document containing an in-depth, evidence-based examination of the “Myths and Truths” about GMOs written by a noted geneticist, click here. To keep abreast of breaking news, information and helpful recommendations about avoiding GMOs, consider “liking” our GMO Awareness Facebook page. How to help fight against companies like this? Can you recommend any scientific based articles on GMO in Salmon? It is beyond salvagable. As Gabriel told Constentine, “We’re f**ked! !” I’ve always kwown we’re nothing but microbes on a mudball in someone’s petri dish. Same thing!! . . . screwed!!! Is there a list of specific foods that cobtain GMOs? This article was very broad to state processed foods and crops with pesticides. Thank you so much. I just would like to ask if it safe to assume that eating GM foods will decrease your life span? Jefer, no one has done a life-long GMO diet study. All we know is that disease rates have been steadily climbing, and unusually so in the U.S. where a GMO diet is prevalent. Pingback: GMO's For Dummies. | Miss GM NO! Pingback: B4BC / Boarding For Breast Cancer / Be Healthy. Get Active. Ride! » PAUSE 4 PREVENTION // Be GMO Free! These companies and their shareholders are big campaign contributors.Don’t expect anyone in Washington to respond. I’m a vegan and very interested to learn more about the process of inserting animal genes into plants. Where can I find some articles on this process? 1) E.coli bacteria is combined with a soil bacteria that causes tumors that allows the foreign bacteria to breach the host plant’s cells. 3) A “gene gun” blasts the engineered DNA directly into the plant’s cells. Google “process genetic engineering” to find documentation from the companies doing the processes. 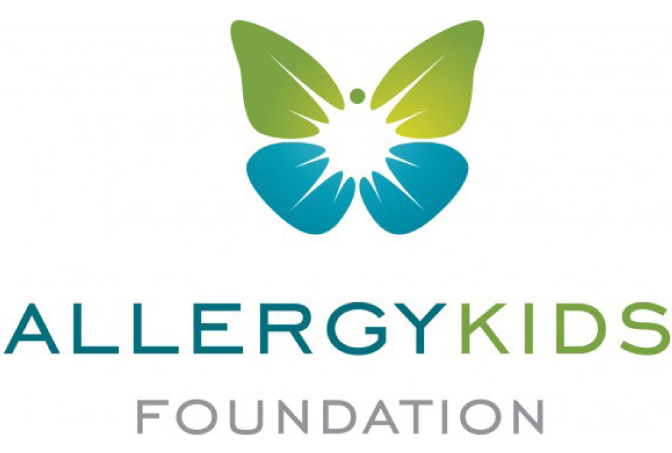 One reason why i believe that GMO should be banned is because of allergic reactions. Most items that contain GMO have unknown ingredients that are not mentioned. Those ingredients may be include one or more ingredient that someone is allergic to. To be more specific, let’s say you are officially allergic to fish and you eat a strawberry. You don’t know if that strawberry has a gene of a fish. We don’t think about it when we eat it. It’s either we like it or not. However,based on the website strawberries cont genes of a fish to protect the fruit from freezing. While you eat the strawberries you think everything thing is fine until you get an allergic reaction. Most people then believe they are allergic to the strawberry but its actually the specific gene that was injected into it that made this a very serious situation. GMO cause deaths and very serious illnesses. Other foods like salmon are genetically engineered with growth hormone which allows them to keep growing larger and larger. Also rice is injected with human genes to produce pharmaceuticals. Also known as a compound manufactured for use as a medicinal drug. Also, goats injected with spider genes to produce milk with stronger proteins. Another reason why i think Gmo should be banned is because of cross-pollination. Cross-pollination is the transfer of pollen from the anther of a flower of one plant to the stigma of the flower of another plant of the same species. It is also a concern about genetically modified crops. Then they sue the farmers whose crops were poisoned by their trash seeds. Why should the farmers have to build a wall, and waste land for a boundry from their sorry product? That is so backwards! We-America look like fools compared with europe and all the other many countries, who have banned the poison crap these companies produce. why do I feel that are seed banks under ground are filled with GM,GMO and alike seeds somebody tell me I am wrong. I was told that there’s a way to visually identify gmo soybean from non-gmo one. non-gmo Hilum is white or yellow and not black. But I can’t find any info through Google. Is it true that you can visually identify non-gmo soybean by just looking at its Hilum color? Thank you! I’m doing a research project on GMO’s, and this was very helpful! You’re very welcome. Thanks for helping to raise awareness! There are some long-term studies done in Russia, Ital, Egypt (or nearby to there) and in a South American country. The studies were done in the 1990’s – 2000. I got to read them while they were available. Their results were all alike although done independent of each other. The two things that happened was liver and kidney damage with accompanying tumors. Then in the 3rd generation there was always severe mutation of the offspring and sterility. They said that 3 generations was all the further the experiments could be taken because of the sterility factor. These sites became inaccessible several years ago. It was during the time period when reports were surfacing that scientific studies on long-term GMO effects were finding their research documents burned and lying on their desks when they would arrive for work in the morning. Shades of “The Godfather”. This was also the time when it was reported that grants for long-term research on GMO’s were being pulled back and no longer being made available through universities. Let’s not let these incidents fade from memory just because an attempt was made to expunge the evidence of them from existence. I used this site for a research paper and it really helped even things out!!! thanks!!! You are most welcome. Thanks so much for helping to raise awareness! 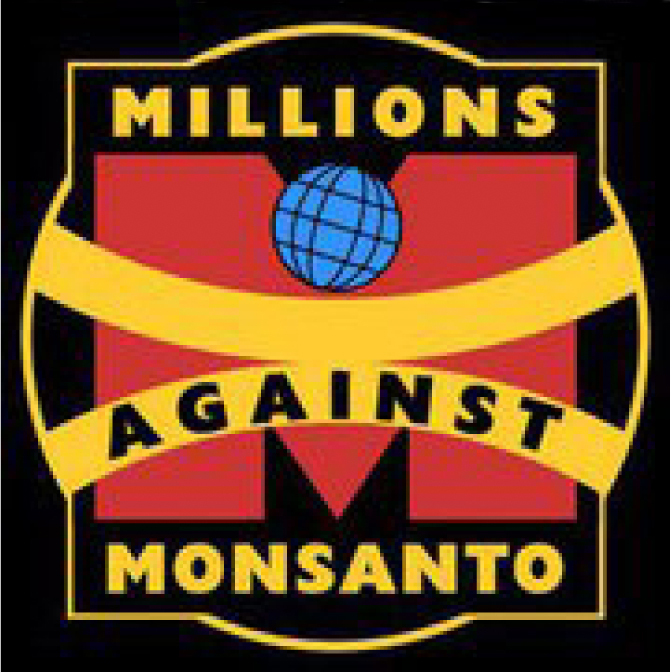 Thank You very much for your great effort in creating awareness among masses on the Genocidal Ill effects of the Satan,Monsanto. Myself and my assistants and mentors formed Auztra Famauz way back in 1986. This is based on the motto of educating BOTH the consumers and producers on the benefits of traditional organic farming and the ill effects of the HiTech Chemical Farming. Myself and all of Auztra Famauz congratulate you heartily for your unselfish crusade against the Mostersanto. We in our hereditary farmlands stubbornly stood against the use of all sorts of chemicals, for more than three decades, while all others were eagerly and virtually “pouring” herbicides and insecticides on the soil. These hapless farmers were following the political “Monsanto-funded idiots” who advocated “Green Revolution”, ” White Revolution” and all other colorful revolutions to fool the farmers into “more yield and more profit” lure. Now, the tide is turning in our favor as we have finally obtained all certification on our truly Virgin soil and ground water. 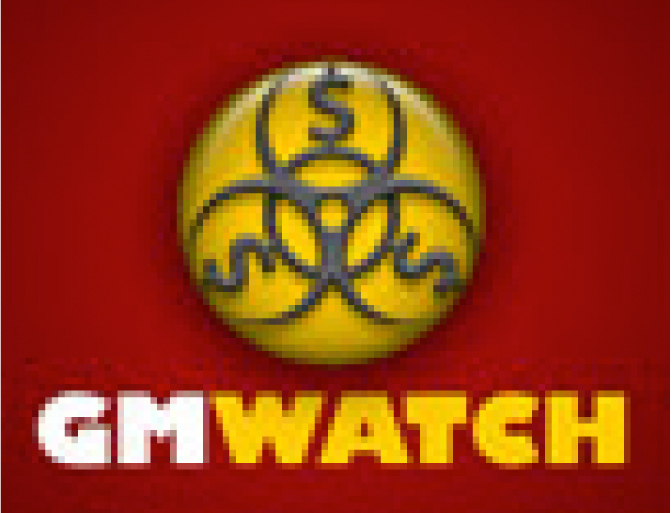 We consider and believe that the “GM” and its expansion “Genetically Modified” are misnomers. Its because, in research, the modifications done can be stopped and at times reversed altogether if found wrong. But the ill-researches conducted by the Monstersanto are actually “Mutations” that cannot be reversed. It is similar to the aftermath following a Nuclear Blast. The mutations caused by the spewing radiations from the blast are irreversibly permanent. This misnomer itself is a ploy devised by the so called “supporters”, to confuse the general public into believing that these mutations are just modifications just like those occur in nature. Even in our India, the “well educated and experienced Scientists”, falling in line with the political bosses, loudly proclaim that the farmers have been following these modifications in the form of cross breeding and selective breeding and hybridization! The Monstersanto fed Genetics Mutation Research Scientists are all heartless morons, who, just to materialize their personal greed into reality, can go as long as to test their hypothesis even on their own daughters. They do their best to copy the Creator and rave to wield the magic wand of Creation. We, irrespective of global location, language, nation or religion, must do unite and resist these Morons. 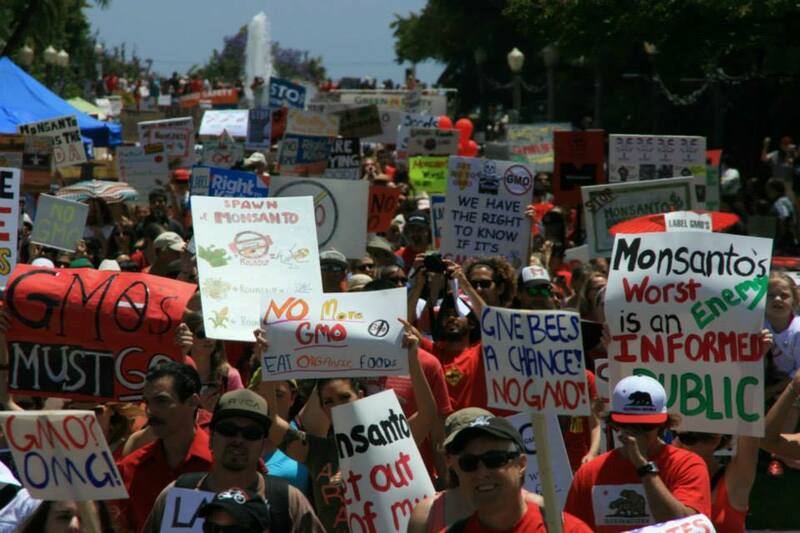 I hope more people will begin speaking up against GMOs. Electrodermal testing reveals that every single person has an intolerance to GMO foods but do not realize. Symptoms are delayed, sometimes 2-3 days and symptoms vary from person to person. Not natural, and independent research shows the harm these foods cause on rats within 3 months — cancer, tumorous growths, organ failure. Damn Monsanto, Dow and all of the other manufacturers of GMOs. In India, every 30 mins a farmer commits suicide due to Monsanto’s GMO crops, cotton, corn etc. What do I mean? Unforseen quadrupiled expenses of GMO production and the reduction of yield and quality – which is completely opposite to the claims Monsanto makes: higher yield. The country is already third world. Very tragic. Please watch the documentary titled Seeds of Death to learn more about the dangers of GMO foods and why Europe, Britain and Russia have banned GMO foods altogether. I hate North America – the FDA is horrible. U.S. is the worst. Biggest producers of GMOs as well. I would like to congratulate you for putting together this website. 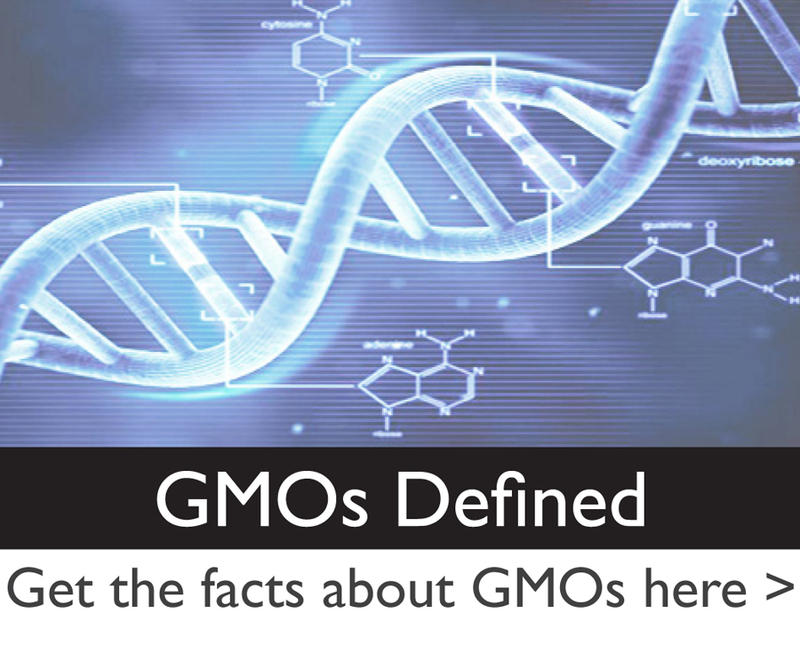 It has an excellent amount of information on GMOs and raising awareness on the subject. thank you for this information but who started it????? If I were to put growth hormones in my fertilizer for my tomatoes, will my tomatoes contain GMOs? Hormones are not genetically modified. I am mortified! This must be stopped (GMO) ! How do those people sleep at night! 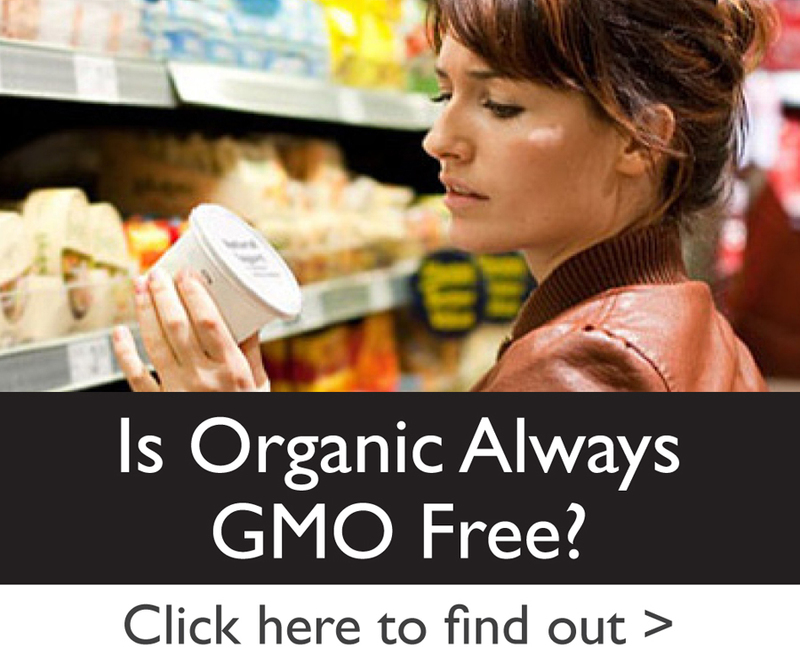 They have actually never proven that GMOs cause any sort of health issues. Its all just a guessing game. Very interesting information regarding GMO FOOD PRODUCTION. Everyone has to be careful and watch the labels. The cancer rates are very HIGH in Canada and the government is not doing much. How is an organism, modified or not, not organic? If it has become inorganic how do we grow it? Organic, in this case, does not mean the organism itself, but how the organism is raised. The organism or seed in this case, can be raised under organic conditions or with chemical substances. Organic conditions means that chemical pesticides and/or herbicides are not used. It also means that chemical based fertilizers are not used to raise the seed. With that being said, if an organism (seed) is modified to have the chemical from RoundUp in the seed, then it cannot (by definition) be considered organic since it has a chemical makeup regardless of what the conditions are while raising it. It has been pre-conditioned with chemicals and therefore the term ‘organically raised’ does not apply. Hope that helps. I must admit that I have been shocked by the knowledge in your research . I have realized that its the third world countries that are being affected most by greedy manufacturers and marketers of this deadly crops, but how do we help to make awarness to most farmers knowing very well that most countries in Africa depend economically entirely on agriculture . not forgetting the possibility of having illiterate large scale farmers . It does indeed go into anything used with conventionally-grown corn, cotton, and the like. Thanks so much. Keep raising awareness! 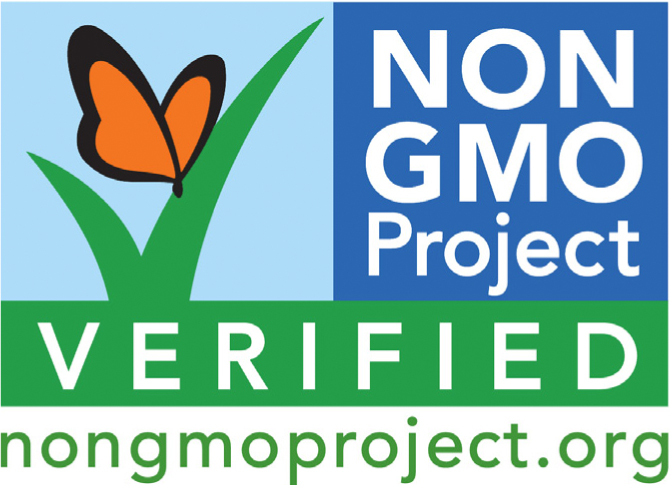 Pingback: GMO’s… What are they? | What is in my ingredients? Thank you for this article. Very detailed. So many people do not get it and it is hard to explain, so glad to share this.